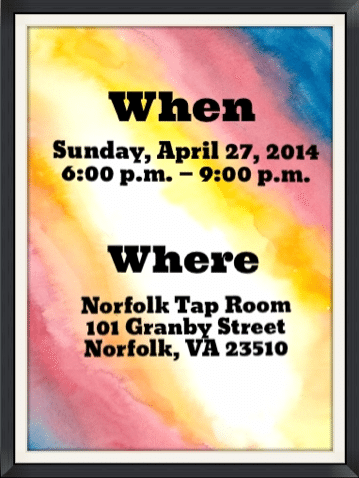 The Messages Project will be hosting its 1st Annual Spring Gala on Sunday, April 27, 2014, at the Norfolk Tap Room. This special event will raise funds to benefit children of incarcerated parents. We need your help, so please stop by to meet us! Artwork created by local children of incarcerated parents will be up for auction, and appetizers will be provided. Our silent auction also includes several rare, autographed items from big names in the advocacy world, such as Piper Kerman (Orange is the New Black) and Deborah Jiang-Stein (Prison Baby). For a sneak peek at some of the pieces we’ll have available in the auction, visit our Facebook page. Join us at the event and win! A live band, Gratiot Lake Road, will be performing from 6:45–8:15. If any tickets are still available on the night of the gala, they can be purchased at the event. All proceeds from the Spring Gala will support children with incarcerated parents through The Messages Project and the K.I.P. Care Program (Keeping It Positive with Kids of Incarcerated Parents) of Norfolk. Invite your friends and RSVP via Facebook.